The slobots are a mild obsession for me. They are part toy and part fine art sculpture. They are like friends that reflect the better parts of us. 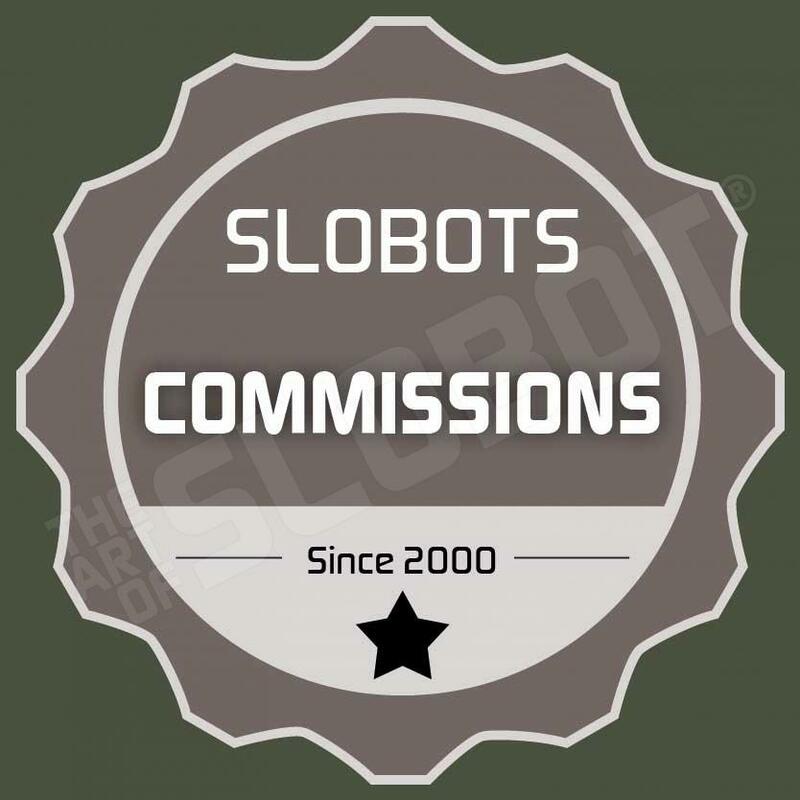 For the most part, the slobots come with stories, each one crafted to suit the particular robot, including things like searching for jobs, love, or meaning, all the way to search and rescue or health and healing themes. Some have even been dog walkers and dolphin protectors. All in all, the slobots are a friendly race of robots that protect humans and animals. I use my slobots as a means to comment on the human condition. I see the idea of a robot that uses its strengths for good as a really positive thing. Not really, even though they start out or have toy parts on them at times. The slobots are fragile, and it is best to regard them as sculptural works of art. Playing with them will probably end up with a damaged sculpture. No, they do not move on their own, however, some have joints that can be positioned and have a very limited mobility. In all cases, moving the joints should be handled with extreme care. Some of the slobots have a very interesting surface texture, what is that?